If you are an LPN nurse then you may want to consider the LPN to RN online program offered by Regis University. With an increase in your qualification there will be far more employment options open to you. Here are the details about Regis University and the online LPN programs that it has on offer. This is a college that offers you a great experience in terms of your LPN to RN education. There are a number of different options available for studying, as you will see later in this article, and the school prides itself in its ability to provide students with “professional knowledge and skills needed in the ever-changing health care professions”. The nursing program offered also thoroughly prepares students for the examination. This is the NCLEX-PN examination and it is a necessary examination to write for anyone who wants to be an LPN nurse. You will also have the opportunity to move on to become an RN with an MSN or BSN degree, and option that is not offered by many schools. For more information contact the college directly. The information that you will need to make contact is listed below. This option is for the applicant who has a current LPN License but has not completed any college courses. This option is for the applicant who has a current LPN License and has completed the first two required non-nursing courses in the Lawrence Memorial/Regis College curriculum. This option is for the applicant who has a current LPN License and has completed the first four required non-nursing courses in the Lawrence Memorial/Regis College curriculum. The total cost of tuition for the NU101 course is $5,850. The registration fee is $50, the Student Organization fee is $15, and the NSNA fee is $35. You will have to pay $150 for each Science Course Lab offered for that program. The Library fee is $50, the Technology/Course Materials fee is $200, the Nursing Lab fee is $50, Standardized Testes cost $110, Health Services Cost $25, and Orientation costs $50. The Transition Seminar comes with a fee of $350 for advanced placement students. The Validation Testing fee is $50 per written test and $200 per hour clinical validation. There is a miscellaneous fee of $100. The total cost of tuition for the NU102 course is $6,500. The registration fee is $50, and the Student Organization fee is $15. You will have to pay $150 for each Science Course Lab offered for that program. The Library fee is $50, the Technology/Course Materials fee is $200, the Nursing Lab fee is $50, Standardized Testes cost $110 and Health Services Cost $25. The Transition Seminar comes with a fee of $350 for advanced placement students. The Validation Testing fee is $50 per written test and $200 per hour clinical validation. There is a miscellaneous fee of $50. The total cost of tuition for the NU201 course is $6,500. The registration fee is $50, the Student Organization fee is $15, and the NSNA fee is $35. You will have to pay $150 for each Science Course Lab offered for that program. The Library fee is $50, the Technology/Course Materials fee is $200, the Nursing Lab fee is $50, Standardized Testes cost $110 and Health Services Cost $25. The Transition Seminar comes with a fee of $350 for advanced placement students. The Validation Testing fee is $50 per written test and $200 per hour clinical validation. There is a miscellaneous fee of $50. The total cost of tuition for the NU202 course is $7,150. The registration fee is $50, and the Student Organization fee is $15. You will have to pay $150 for each Science Course Lab offered for that program. The Library fee is $50, the Technology/Course Materials fee is $200, the Nursing Lab fee is $50, Standardized Testes cost $110 and Health Services Cost $25. The Transition Seminar comes with a fee of $350 for advanced placement students. The Validation Testing fee is $50 per written test and $200 per hour, clinical validation. There is a miscellaneous fee of $50. The Graduation/Pinning fee is $300, the actual Graduation pin will cost you $100, and the NCLEX-RN Review Course fee is $350. Note: When it comes to choosing a school to attend try not to base your decision too heavily on the cost. Remember that some of the best schools you there are in fact schools that are affordable and that come at very reasonable prices. In addition a really expensive school will not necessarily be the best school that you could choose. It may in fact have a lower standard of education, but charges more because of its reputation or perhaps even because of the area in which it is located. Tuition is important, but it is not the most important factor for selection. There are a number of places where students can go to get financial aid for attending this college. Among these sources are a number of very important online options. If you want to apply for financial aid you will need to fill out the Free Application for Federal Student Aid to Mt. Vernon, Illinois according to the directions on the form. The institutional code for the program is 006331. This will also bring to your attention a number of federal financial aid options that are available. 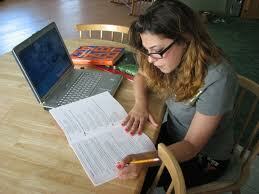 When you apply for an online school it is essential that you ensure that it is accredited. If it is not you will essentially be wasting your time and your money. Good schools are open about their accreditation and you will find this information easily on the website. Treat any school that does not openly give this information with suspicion. Regis College is approved by the Board of Registration in Nursing of the Commonwealth of Massachusetts and accredited by the National League for Nursing Accrediting Commission. These are fairly good online teaching methods, and you will struggle to find another university that offers such good options in this regard. Now that you have all of the information you should be in a better position to decide if an online LPN to RN program from Regis University is the right path for you to take or not. This is not a decision to be made lightly so ensure that you consider everything before making your final decision on the matter. Research all of your options carefully and ensure that you make the best choice possible because your choice at this stage of the game can significantly impact your future.